Part 126: Herodians. One thing that I hope has been conveyed over the last several devotions is just how divided Israel was between the 1st century BCE and the 1st century CE. We have, so far, been introduced to the Seleucid Empire and the Jews who supported the Hellenization of Israel, the Hasmonean Dynasty, the conquest of Rome, the Sadducees, and the Pharisees. In this devotion we will be looking at yet another sect in a very fragmented and divided land. The Herodians were a political group (made up of various subgroups of people) who supported the rule of Herod and wanted to see the monarchy restored back to his descendents. In order for us to have this make sense to you, we are going to need to jump ahead to Jesus’ time and look backward. The Herodians rose to prominence following King Herod’s death and were one of the many factions that existed during that time. Following the death of King Herod, Rome divided up his kingdom between his three sons and his sister. 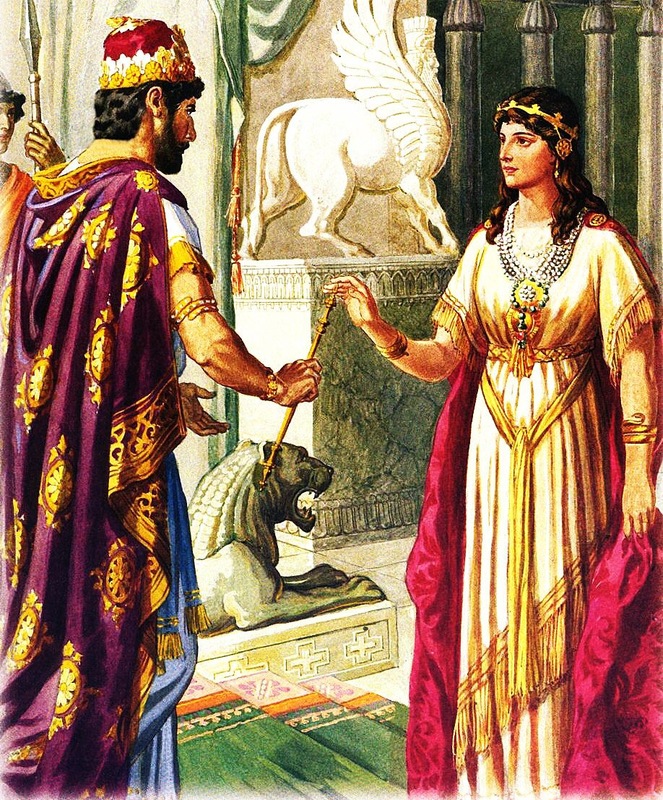 Archelaus became ethnarch (or ruler of a specific ethnic group…e.g. the Jews) of the Tetrarchy of Judaea, Herod Antipater (nicknamed Antipas) became tetrarch of Galilee and Peraea, Philip became tetrarch of territories north and east of the Jordan River, and Herod’s sister Salome I (not to be confused with Antipas’ stepdaughter) was made the toparch (or regional governor) of the cities of Jabneh, Ashdod, Phasaelis. A tetrarchy was a demotion for Herod’s sons. While Herod the Great was appointed King by the Romans and was sole ruler of Israel (answering only to Caesar), the Romans decided they wanted more control over that strategic region. Thus, when Herod died, they divided Israel up into four regions and appointed Herod’s sons as tetrarchs (or governors) of those regions. They were governors, but they were NOT kings. The tetrarchs fell under the command and leadership of the appointed governor of the newly formed province of Judaea (which was made up of the four regions that the tetrarchs governed). The Herodians were a group who were supporters of the Herodian dynasty and advocated for the restoration of the Herodian monarchy. Like the Pharisees the Herodians wanted to see their people achieve political independence; however, unlike the Pharisees, they believed that the Hellenized Herodian dynasty was the way to go. They wanted to see one of Herod’s sons, such as Herod Antipas, take the throne as king. Jesus of Nazareth, of course, was challenging the authority of the political elites and performing many miracles. Many saw him as possible being the anticipated king of the Jews who would liberate Judaea from foreign rulers. We also know that Jesus did, in fact, claim that title for himself. This would have set him odds with the Herodians who supported the Herodian Dynasty. This should challenge us because, with the Herodians, we can see how political ideologies can over take where we ought to be spiritually. People often let their political worldviews and agendas block them from truly following the One who is Lord of all and Savior of the world. Let us reflect on how we have let our politics grow into idols that they get the very best of us, separating us from God. If we place all of our hope and faith in human rulers, we will get human results; however, if we place all our hope and faith in God, the results will be divine. Lord, steer me from making an idol of my political worldview. You, Christ, are all that matters. Amen. If you are at all like me, you are probably growing very weary of the American political campaign for the Presidency of the United States of America. It does not matter where in the world you are while reading this, you have no doubt heard the names Donald Trump and Hillary Clinton. Donald, of course, is now the presumptive GOP nominee, and Hillary is looking like she will be. I have never used my devotions, or the pulpit, to talk politics and I do not intend to now; however, I have used both platforms to talk about specific spiritual and theological issues that are connected to or implicated by political issues. I am called to speak out prophetically on issues that concern all Christians, regardless of where, when and how those issues arise. Thus, I do so now. The political climate in America is so divisive and malicious that the country has become a battle ground for a war being waged between very contentious and controversial candidates. We have Donald Trump who has said very hurtful things about fellow candidates and about certain groups of people. We have Hillary Clinton who is caught up in a plethora of scandals and has trust issues among voters. We also have Bernie Sanders who identifies as a Democratic Socialist, who has tried to maintain a campaign focused on the issues important to him, but who has also stepped up the rhetoric by accusing the Democratic Primary System of being rigged and stacked against him and the people. Worse than the candidates, many religious figures have stepped into the political fray in order to demonize those within their own religious groups who are supporting a candidate different than theirs. Unfortunately, many Christians have followed suit with that. It’s as if such people now identify Christ and Christianity with a certain party or a certain political ideology. 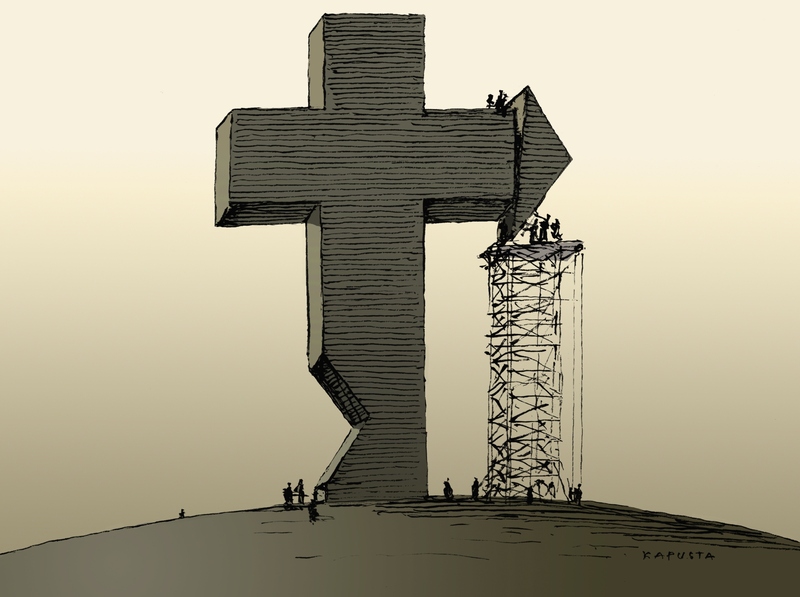 Conservative Christians see Christ as socially conservative. Progressive Christians see Christ as socially progressive, and anyone who disagrees with either side must not be a Christian. This is the sad, but unfortunately true, state we American (and dare I say Western) Christians find ourselves in nowadays. Ironically, the progressive view of conservatives is very elitist and sounds awfully similar to the accusations that the Jewish and Roman elites used against Christ and the early Christians. Yet, a word to the wise, ignorance comes in many forms and a college education does not guard against it. Conversely, the conservative view ironically sounds awfully like the view that the Jewish and Roman leaders held against Jesus, and a lot like the mob mentality of the Romans as they threw Christians, who were seen as being out to destroy Rome’s greatness, to the wild beasts. What I am going to say may come as a shock to some, and perhaps less so to others, but it is as truthful and honest as I can be. Jesus Christ does not give a damn who you vote for. Christ is not Republican and Christ is not Democrat. Christ is not Amercian and Christ is not the figurehead of Western Civilization. Christ, and Christ alone, is LORD of all Creation! What’s more, there are Christians on all sides of the political divide and their vote does not make them more or less Christian. What makes us Christian is CHRIST. If our hearts are centered on Christ, then we are Christian. None of us are perfect in that and we serve a God of grace. Christians can and should vote, and I wouldn’t state otherwise. But voting is your national duty, not your Christian duty. Vote for who you are going to vote for, and have the grace and love to let others do the same. In the end, whoever wins will win and, in the end, their term(s) will come to an end. Christ’s reign will NEVER come to an end. What Christians are required to do is follow Christ and and lead others to do the same through their example of Christian love and service. I pray that, whatever your political beliefs are, your true and only allegiance is pledged to CHRIST OUR LORD. As we seek out someone to “save our country”, we forget that we are to pledge allegiance to the ONE who saves our world. Lord, guide me to pledge my allegiance to you over and above anything else. Amen.